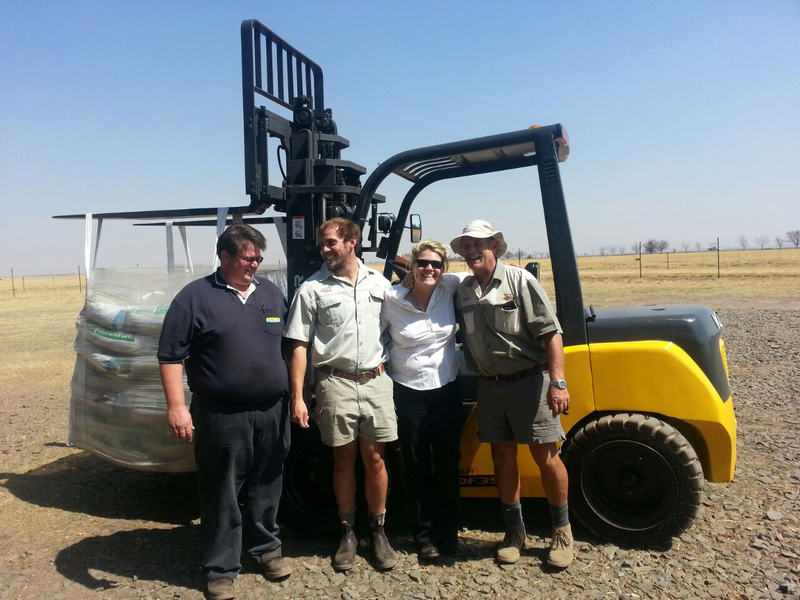 [Johannesburg, 02 August 2017]: Smith Power Equipment, the sole importer and distributor of the Kipor range of forklifts in South Africa, has supplied a total of four Kipor KDF 25 units to Cairns Foods, a major grocery and wine producer in Zimbabwe. In today’s materials handling market, being a supplier that can address any problem statement optimally and service end users’ needs across board from a reliable product, through to aftermarket support, is more critical than ever. 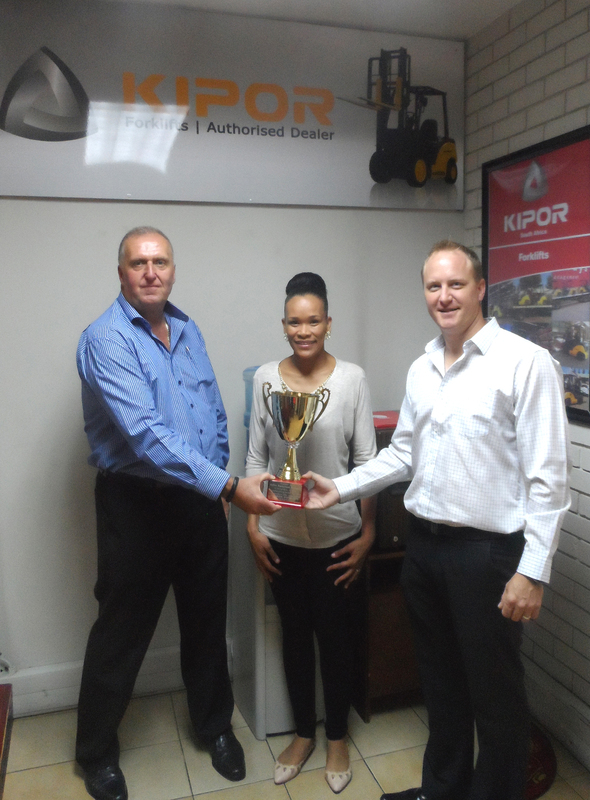 This was the basis on which Smith Power Equipment (SPE) recently won a nearly R1-million order to supply a total of four KDF 25 diesel forklifts to Cairns Foods of Zimbabwe. 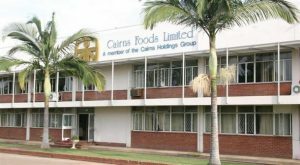 Headquartered in the capital, Harare, and listed on the Zimbabwe Stock Exchange’s industrial index, Cairns Foods is a major producer of a wide variety of groceries and wines. Cairns Foods is also a manufacturing giant in the agro-processing industry, with Cashel Valley tinned baked beans being its flagship product in this regard. Despite the challenging trading environment in its native Zimbabwe, Cairns Foods recently increased its manufacturing capacity utilisation, and is envisaging to further reach an 80% capacity utilisation by 2018. Improving business conditions have also seen increased activity at the company’s distribution centres where any form of downtime is out of question. 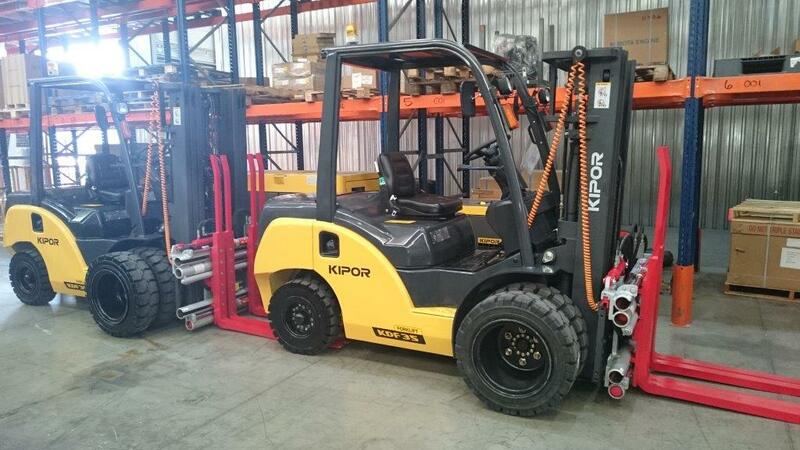 In its quest to maximise materials handling uptime at its busy distribution centres, Cairns Foods turned to SPE for four Kipor KDF25 diesel forklifts. According to Sunee Heyns, Dealer Sales Manager for Kipor Forklifts at SPE, the KDF 25 was a perfect fit for the task at hand. With its three-stage container mast and a 4,5 metre lift height, complemented by side shift capabilities and rated load weight of 2 500 kg, the KDF 25 fit the bill for truck loading and offloading duties at hand. With Kipor’s understanding that a comfortable operator is a productive one, a suspended and movable seat, together with a tilt angle of steering column that can be adjusted freely, the KDF 25 has a special design focus on operator comfort, boding well for extended working hours. With safety in mind, the KDF 25 also comes with a hoist cylinder at the rear of its mast, making the operation view wider. The rear lamps are installed on the unit’s top cover to further ensure safety. Heyns adds that the deal, which saw Cairns Foods taking delivery of its machines in May this year, hinged on several factors, ranging from product reliability, competitive pricing, to service and parts support. 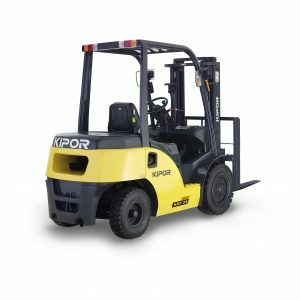 SPE ticked all the boxes with the Kipor forklift range that has proved itself in the local market, bolstered by the local equipment supplier’s strong aftermarket capabilities. “Kipor is a cost-effective forklift solution for companies seeking a reliable, yet competitively priced product, especially considering the tight budgets often allocated for materials handling. 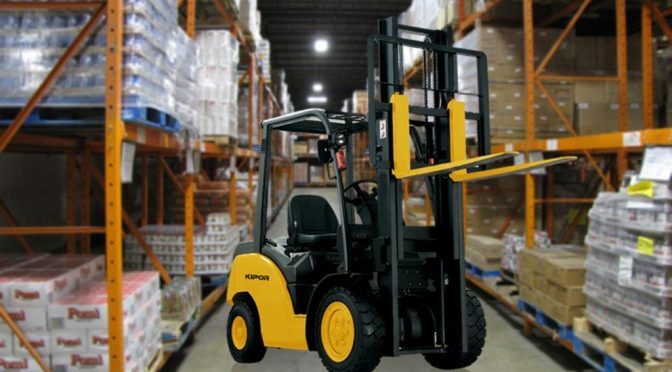 Apart from the reliability of our Kipor product range and competitive pricing, superior service and support ability were also key in Cairns Foods’ decision to opt for SPE as its preferred forklift supplier,” concludes Heyns. Download the Kipor KDF25 Brochure here. This article was featured on Engineering News website [click here] and also in their publication Engineering News – Aug 25 2017. This article was featured in the Cape Business News – September 2017. This article was featured on the Zimbabwe Consolidated News website [click here]. This article was featured on the Farmers Review Africa website [click here] and also in their publication Farmers Review Africa – September 2017. This article was featured in the Supply Chain Today, October 2017. This article was featured in the KZN Industrial Business News – Nov 2017. For more information phone Smith Power Equipment on 011 284 2000. Email: Sunee Heyns on sunee@smithpower.co.za or phone direct on 011 284 2070.